Pokerstars just unveiled their new fast-paced tournaments called Beat the Clock. 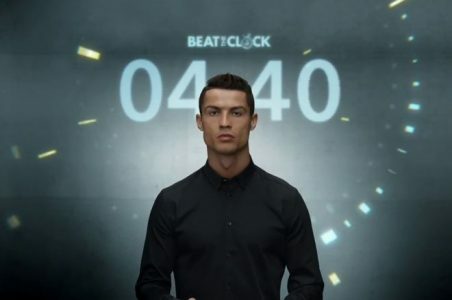 They chose Christiano Ronaldo from Real Madrid as the star in the advertising campaign. The Beat the Clock games last only 5 minutes and they will be held in Zoom Poker format at 4 max tables. The players have to stay in the game before the timer runs out. The prizes will be determined by the proportion of the player’s chip stacks at the end of each of the tournaments. The star of the commercial stated that these tournaments would require you to act and think quickly with quite a high level of skill. This gives him the same rush of excitement he gets in matches. The timed element of the game makes it even more fun and exciting to play, and it also means that the star gets a quick adrenaline fix even when he is on the move. These tournaments are already available on computers and mobile devices with various operating systems. The players who decide to dodge elimination by the time the timer runs out will be rewarded. This makes for a fun and short poker experience. The idea will also prove to be quite popular with the tournament grinders, who will be able to compement on the games they are currently playing, instead of kicking off more multi-table tournaments.